As estimated 310,000 Brits live abroad in Spain, many settling down right beside the sea on the many Costa del Sol beaches. Sunny Spain is a great spot for an expat second home. It's hot in summer and mild in winter, the water is perfect and the UK is only a few hours away by plane. So you can always hop back home to visit family and friends. While you're in Spain for the warmer weather, here are the Costa del Sol beaches you must visit. It's popular for its pristine waters (it's a Blue Flag holder) and street artist sand sculptures. Like many other beaches in Spain, you can rent a sun lounger once you're there. You can take a stroll along the Marina after a sunbathe, or return to the town centre for tapas and a drink. You'll find La Rada Beach at the Mediterranean edge of Estepona. It's two and a half kilometres of sand and sea, and is hugely popular among locals and tourists alike, with bars and restaurants all the way along the waterfront. There's also a lifeguard on duty, plus plenty of parking. Fuengirola Beach can be found a short drive southwest of Malaga. With miles of sand and plenty of water sports opportunities, it's another sure favourite. One more thing to do when living in Spain is to visit the Castillo Sohail which overshadows the southern end of Fuengirola Beach. This historic castle was built during the Moorish rule of Spain. But ruins found beneath the building suggest foundations of a fort on that site have sat there from as early as the time of the Roman Empire. Casablanca (not the film) is a short trip due west of Marbella. There are plenty of apartments and houses set just in front of its golden sands. Its crystal waters tempt apartment dwellers from their balconies down for an evening swim, followed by a smooth glass of sangria or crisp Spanish white wine. Playa Guadalmina is a more secluded spot, but it's just 10 minutes drive from the city of Marbella. This beach is large enough that you almost certainly won't have to fight for space. There's disabled access, and the beach is another Blue Flag holder. By the way, remember the word 'playa' for when you move. This is Spanish for 'beach'. Which is a handy word to know! Too Many Costa Del Sol Beaches To Name! 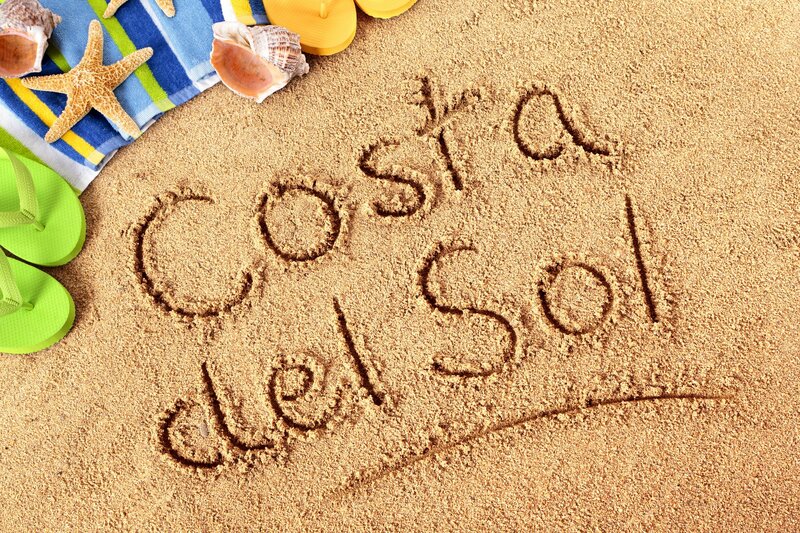 Our list of Costa del Sol beaches doesn't really get very far into the details. Although these are some of the best, the truth is that there are many other brilliant beaches and bays for you to explore on this exquisite coast. Take a look at our current beach properties on the Costa del Sol, and decide where you want to live!